Claudine was convinced since he was young that he was born into the wrong gender. He struggles through life, being the first child after three older brothers to take after their father. He wants only to be able to find true love, and his attempts continue to end in tragedy as he is unable to be accepted as a man by his peers. Claudine...! has been licensed in English by Seven Seas Entertainment. I heard about this manga on TVTropes, and read that it's known for having a character who is a woman but identifies as a man, and the manga portrays this character in a human, respectful, and sympathetic light. I wasn't sure if I'd have time to read this manga, but when my Modern Japan class got cancelled and I had nothing to do, I decided to go to the library and read this since it's only one volume long...and wow, they were right about this manga having a very respectful portrayal of the transsexual main character and the issues he (I'm going to refer to Claudine as a he since he identifies as a male) goes through...and the weird thing? 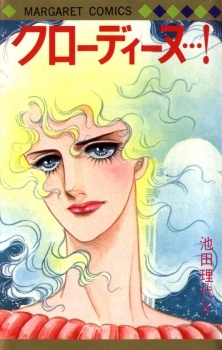 This manga was written in 1978, the setting is in 20th century France, and the author of this manga is Riyoko Ikeda of Rose of Versailles fame! Why is this manga not more well known? The story is relatively simple. Claudine de Montesse is the daughter of a French nobleman and the first child to truly resemble his father. He began identifying as a male at the age of 8, claiming that he was born in the wrong body, much to the surprise of his family. His well intentioned but confused mother takes him to a doctor, not knowing quite what to do. The doctor and Claudine become friends, though they hardly ever spend any time together. The only people who truly accept his sexuality are his father and his clingy childhood friend Rosemarie. Unfortunately, even with their support, Claudine's attempts to find love and be accepted as a man wind up ending in tragedy one by one, especially when he discovers certain secrets about his family and his loves that he may not be prepared for. You may be surprised by the rating I gave this. You may be thinking, "If you really think this manga deserves a 7 out of 10, why are you gushing about it? Don't you like it?" Well, the reason I ranked this manga rather low is because there are quite a lot of things in this that sort of felt really forced or turned me off. The first of them is the melodrama. It places a bit too much emphasis on certain scenes, making them come off as very forced, especially the characters' reactions (though I think that's because of the way they're drawn). But then again, this was drawn in the seventies after all, so melodrama was the standard at the time. The second thing that really irked me were some of the twists that were revealed. I won't go into detail about them and the melodrama, as these twists happen to be VERY FULL OF SPOILERS and have a HUGE affect on the story afterward. What should be a good manga about the transsexual main character is somewhat overshadowed by a strange, convoluted, and unnecessary love dodecahedron that's much too complicated for even me to keep track of, and the actions of some of the characters really made me cringe. I feel that if the manga was a bit longer, it could have developed these things more and made them a lot more subtle. I wonder if the subject matter is why the manga is so short? Maybe Ikeda wasn't able to go beyond one volume? However, even with the manga's huge and glaringly obvious flaws that keep me from rating it much higher, I still respect it wholly. Why? There's just so many little details about this manga that I really appreciate. For one thing, Claudine's father actually accepts her sexuality even though in the 19th century, transsexuality or homosexuality were considered mental disorders and maligned by everyone back in that time period, and he conveys this with this line: "God made an error in not giving him a male body." If that's not a true sign of love and appreciation, then I don't know what is, even though he has his own issues later on. Normally, the fathers are the ones who are the quickest to hate their children if they decide to be homosexual or transsexual. It's just SO UNGODLY refreshing to find a fictional father figure who still loves his child regardless of what they decide they are! And in a manga taking place in the 20th century, no less! Another thing I truly appreciate is Claudine himself. From what I'm hearing from other places, transsexuals have been portrayed in manga and anime as flamboyantly gay or just acting gay for the sake of showing off their sexuality, which is rather insensitive. Wandering Son is an exception to this rule, along with Claudine. Claudine is a wonderful and well-rounded character. He's not flamboyant or flirty or any other poorly executed gay stereotype. He's simply a human being who has flaws, makes some mistakes, is easily saddened by tragic events in his life, and who deserves as much respect, love, and acceptance as everyone else does, but most people he meets don't like him because he's "technically" a girl and not a man, which he claims to be. However, I will admit, the final thing about this manga that irked me was the ending. Not because it was rushed or not well done or anything like that. In fact, it's very well done and well worth it. But it's just plain sad. Sad sad sad. I won't spoil it, but let's just say that what Claudine does at the end is sadly reminiscent of what young gay and transsexual kids are doing after years of bullying drive them over the edge today. I wish it had a happy ending, but still, this ending is well done so I'll give it some slack. Despite all of this manga's problems, this is definitely a guilty pleasure manga that I'll definitely keep reading. If the forced twists and love triangles were removed, it'd be a masterpiece. But I can wholly love it for what it does do absolutely right, and more people should too! This manga was recommended to me due to being a somber/serious portrayal of transgender issues. That is a rare thing. I can only count two manga which I would call somber/serious portrayals of transgender issues. The rest are facetious comedies along the lines of ‘Prunus Girl’ or ‘Boku Girl’. So when I hear about such a manga, I did get a bit excited. So overall, how would I rate ‘Claudine’? Well, it is a serious manga and it does involve a transgender man. However, I would not call Claudine a manga about portrayal of transgenderism. That’s because it never really comes up as an issue at all. Claudine accepted himself as transgendered at a young age with little question and, with the exception of Claudine’s mother, Claudine is universally accepted and loved for who he is. He is frequently described as personable, charming, and intelligent. Even the psychiatrist hired to treat Claudine by his mother is turned to believing that what Claudine says is absolutely true. In short, Claudine never really goes through any acceptance issues or personal identity struggles. He is never ridiculed, confused, or ostracized for who he is. Now, a manga about a transgendered man does not necessarily have to contain such issues, despite how unlikely it seems (especially when one consider the setting), but it should come up as an issue somewhere, no? In Claudine’s case, the author makes the transgenderism an issue in Claudine’s love life. Again, though, I have to question how much of an issue it really is. To begin, Claudine tends to fall in love with women…and he is immensely popular with women. One of them is his childhood friend who loves him to the core and is willing to do just about anything for him. The other ‘serious’ women in his life all loved him to varying degrees. In fact, I think there was only one instance in which Claudine’s transgenderism was an actual issue, but that had a number of surrounding problems that made it ambiguous. The other love in Claudine’s life varies but was pretty standard love-and-lost type deals. Overall, transgenderism rarely comes up as an issue at all. In short, Claudine is a fine read, but I can not recommend it if one is looking to read about LGBT issues. If one is looking for a manga about transgenderism, it’s understandable as, as I stated, those are very rare, but unfortunately, Claudine is just not it. If you read it, read it for a short, fun story involving a unique character. That way, you’ll enjoy the manga a lot more. Is there an english physical copy of this?